. @radiokeri: Isn’t it about time we got real about the progressive scam being run in education politics that allows candidates like Northam to be forced upon us?
. @radiokeri: Northam isn’t the first faux-gressive to win over the hearts and minds of the teachers unions to win a political race. But his case is one of the starkest in recent memory. It’s comical to observe the reactions or, in some cases, the lack thereof, of those who, just a year ago, were gushing with praise for Virginia Gov. Ralph Northam, both to disclosures last week of his troubling racist history and to his ham-handed and shifty attempts to explain it away. Comical, as well as sad, infuriating, and above all entirely predictable, because everything we’ve learned about Northam’s racist past is entirely consistent with both his dog-whistling campaign and his feckless one-year tenure as governor. For those hiding under a rock, a photo has surfaced depicting a person in blackface and another wearing a KKK hood on Northam’s medical school yearbook page. Northam has confirmed the photo is genuine. The Virginia governor at first said one of the persons depicted on the page was him — but wouldn’t say which one — and then denied that either person was him but said he had once dressed up in partial blackface as Michael Jackson for a dance contest, in an incident of which no picture or video evidence has surfaced. Northam’s damage-control press conference Saturday was a complete train wreck, with the governor trotting out old don’t-pass-the-laugh-test tropes, à la “some of my best friends are black” and “I have a really good friend who is black who I consult on these issues.” It’s unclear whether Virginia’s black lieutenant governor, Justin Fairfax, is any of those people. For some of us, none of this is surprising. As both a candidate and a governor, Northam has eschewed policies that have great potential for helping Virginia students of color. By vilifying charter schools, justifying the belief gap, and endorsing the idea that some children will never be capable of learning, Northam and his allies made it crystal clear where they were when it comes to educational equity and social justice. As the teachers-union-endorsed candidate, Northam was conveniently presented as the “progressive” choice during a bruising primary campaign against Tom Perriello, thanks to the unions’ passionate and unyielding support (complete with time, money, and boots on the ground). Northam isn’t the first faux-gressive to win over the hearts and minds of the teachers unions to win a political race — not by a long shot — but his case is one of the starkest in recent memory. “Particularly concerning was Mr. Northam’s view that because children are diverse, “coming from different backgrounds and different regions,” he’s “not sure that it’s fair” to give them all the same test; they shouldn’t be penalized, he said, for the environment they come from. The suggestion that some students should be required to pass one type of assessment, while others are given a different (presumably more rigorous) one, is disconcerting. There is no question that some children come to school handicapped by circumstances not experienced by their better-advantaged peers, but children do better when there are high expectations. Does Ralph Northam still think that the brains of children like mine are smaller? Those of us who come from “diverse backgrounds and different regions,” and who are regularly treated to the “what do you want us to do with these kids” excuses from teachers unions, heard this dog whistle loud and clear. We get it: You think black and brown kids can’t learn. What’s painful is the fact that we know this simply isn’t true, and we know what to do about it. How do we know? Because there are these things called charter schools that have proven from coast to coast — from Boston to Providence, from Newark to New Orleans, from Denver to San Francisco — that children who are given access to rigorous curriculum, exceptional teachers, and extended time in the classroom are able to not just meet but exceed the outcomes of their wealthy, white counterparts. And how do we know they not only meet but exceed the outcomes of their wealthy, white counterparts? Because we test them with the same assessments given to wealthy, white kids. Teachers unions have spent the last generation creating a ridiculous litmus test for candidates who want to earn their endorsement. They must suspend any belief that our educational system is institutionally racist and that children have been deprived of equitable access to educational opportunities. They must also demonstrate a steadfast commitment to to maintaining the status quo and fight any effort to evolve or to innovate away from the 19th century model at all costs. So you can just guess what the critical difference was between Perriello and Northam — the issue that made it absolutely impossible for any “real progressive” to support Perriello, according to the powerful teachers unions? Nine and Counting: New Legislation Would Expand Virginia’s Charter Schools. Will Gov. McAuliffe Sign? It was Perriello’s support for President Barack Obama’s progressive education agenda and his support for charters, even though limited, that turned many so-called progressives toward Northam. Northam’s campaign is “a bellwether of what you’re going to see in other governor’s races,” said Julian Vasquez Heilig, an education professor at California State University. 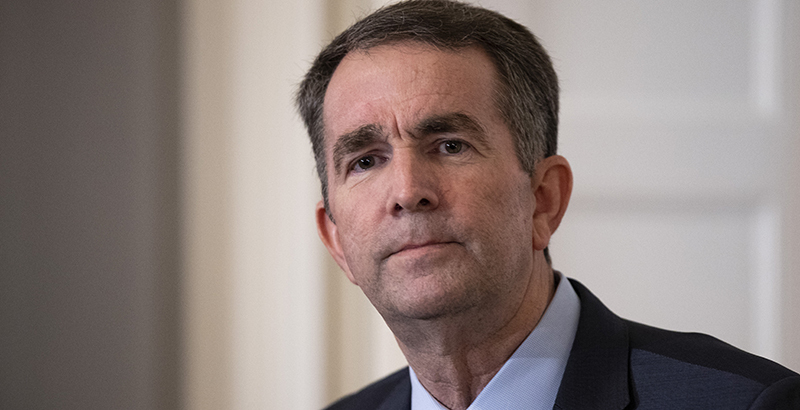 A person with a troubling history of racism who buys into the idea that children of color aren’t capable of proficiency simply because they have black or brown skin is not a “breath of fresh air,” nor is he the best candidate for “students and schools.” And as for whether Northam was a bellwether, we’re pretty sure neither blackface nor KKK garb appear in the yearbooks of charter school champions Andrew Cuomo and Jared Polis, both of whom handily won their gubernatorial elections in November 2018. Isn’t it about time we got real about the progressive scam being run in education politics that allows candidates like Northam to be forced upon us? But let’s not only blame the powerful, resource-rich union machine. We, as Democrats, have also failed. Democrats are supposed to be the champions of public education. But instead of courageously leading the conversation toward dismantling a system that leads millions of children toward the school-to-prison pipeline, we have outsourced our education platform to a special-interest group with a vested interest in maintaining a status quo that places its prerogatives above the best interests of our children. It’s amazing how teachers unions across the country have been able to convince Democrats that protecting traditional public education is some kind of hallmark of progressivism. The unions use their political capital to bully our elected officials into making decisions in favor of protecting their interests instead of disrupting systems mired by institutional racism. Teachers unions literally have vested interest in maintaining the status quo because it benefits their membership, which is the whole purpose of a labor union. While I appreciate the flowery rhetoric about standing up for students and families, unfortunately, the outcomes don’t back up the slick talking points. By maintaining this status quo, they have created a road to poverty, incarceration, and death for children like mine. Just last week, we watched teachers unions marching in the streets in a 30,000-member temper tantrum because charter schools may force them to change, grow, and evolve — doing things like keeping young, talented teachers of color in the classroom instead of allowing them to be bumped by mediocre white teachers with tenure. Changing and extending the school day and the school year, and investing in programs that benefit the classroom instead of bankrupting us for generations by paying the full load for health care for teachers who retired decades ago. The idea that Democrats could stand by and allow all this to happen is disgusting. Blocking charter schools and other innovative approaches to education because you disagree with a governance model that does not immediately create a new revenue stream for you through automatic membership to your organization while dismissing the powerful outcomes they produce for children is not progressive. Neither is clinging to antiquated ideas about education that are leaving our nation’s children at a competitive disadvantage in the global economy. Keri Rodrigues is a Massachusetts-based parent activist, education justice advocate, speaker, and author who runs the EduMom blog. Keri Rodrigues is a Massachusetts-based parent activist, education justice advocate, speaker and author who runs the EduMom blog.